Creation of a package ... or more than a package. How to torture an illustrator? Well, making them craft instead of paint. This will be the first post of a multi-part project, because if I explain everything here it will give me enough for 5 pages ... and of most users in steemit do not even read more than 2 ... (I join). The work consisted of having to make a "special promotion" of a book that was chosen for us. 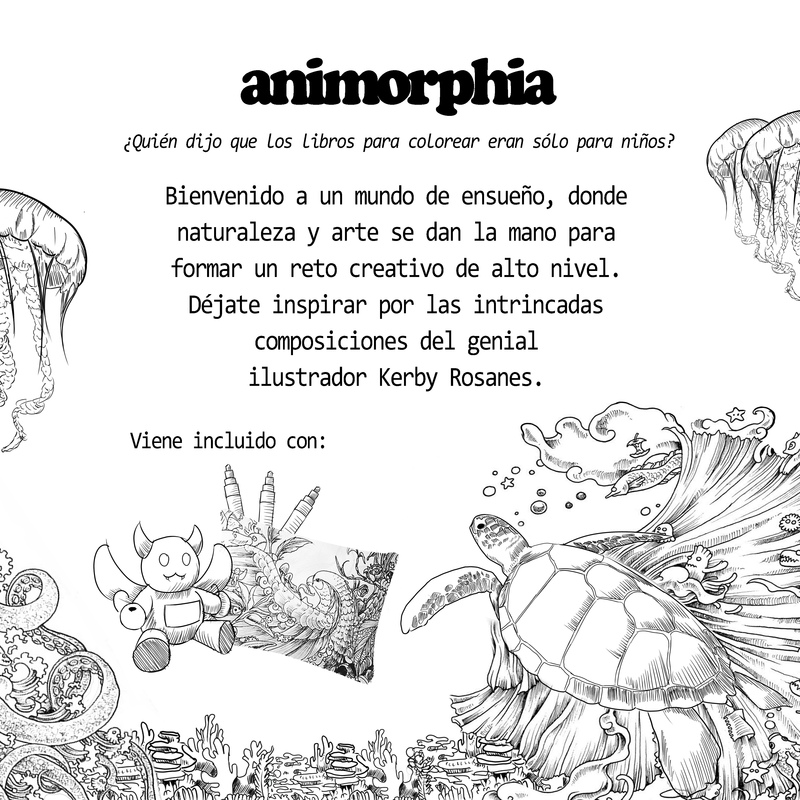 My book was played by Animorphia de kerby rosanes, an art therapy book for adults. 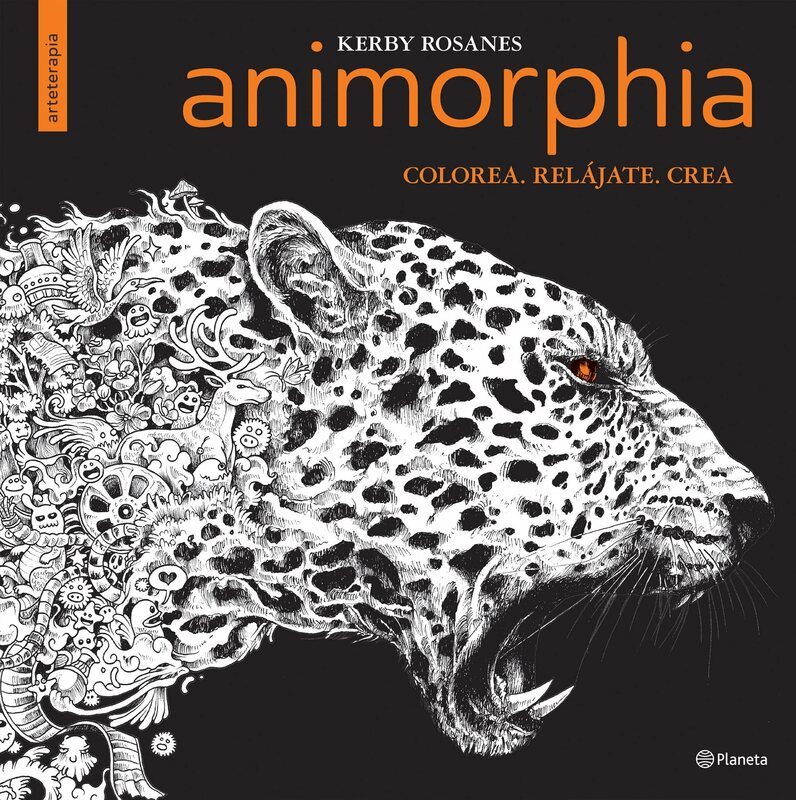 Beautiful illustrations, with great details, amazing concepts and well-made compositions, and the best part: made to color. For the final project we had to make some accessories in reference to the book, plus a doll ... a package ... gifts ... and an illustrated poster (FINALLY! Something I can do from all of this). Each party had specific requirements. This was the hardest part since it did not have to be any package. Should save the book plus the rest of the materials inside. It must be easy to transport. Must be able to withstand hits and falls (we were told that these would be beaten or thrown to test their resistances ... (weren’t we supposed to be learning art? Just asking)). Since my book had as subject: a coloring book for adults, my works had to show this very thing; my proposal was a package that was an easel, an idea that was accepted instantly. I didn’t save the original process of this, although I have saved the ideas separately. 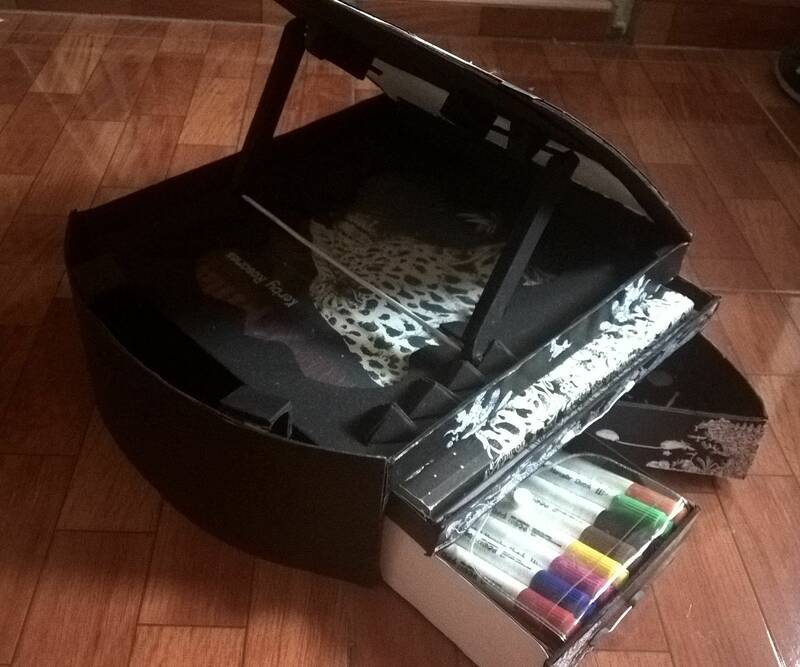 It received several changes during the crafting process; being that it was supposed to have the front part completely plane so that people painted in it, changing to be an acrylic whiteboard; the support part the easel also had changes, as well as the cabinets and decorations. The package was done with cardboard, wire (with something I had to make sure everything was still even if it was thrown from the second floor) and a lot of patience. The back, with all the information the book and the articles (my favorite area I have to say). The bottom part, with the legal information. And the laterals, illustrations varied. 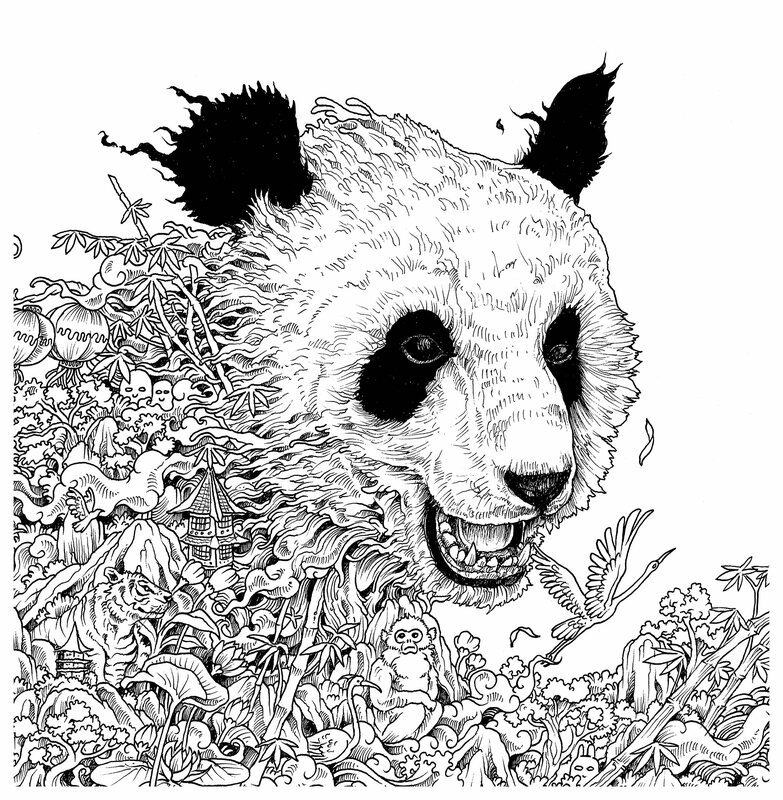 I putted some of this illustrations on a black background to add more dynamism to the package. I added other areas with decorations; but I did not make them for lack of time, they were illustrations directly from the book. 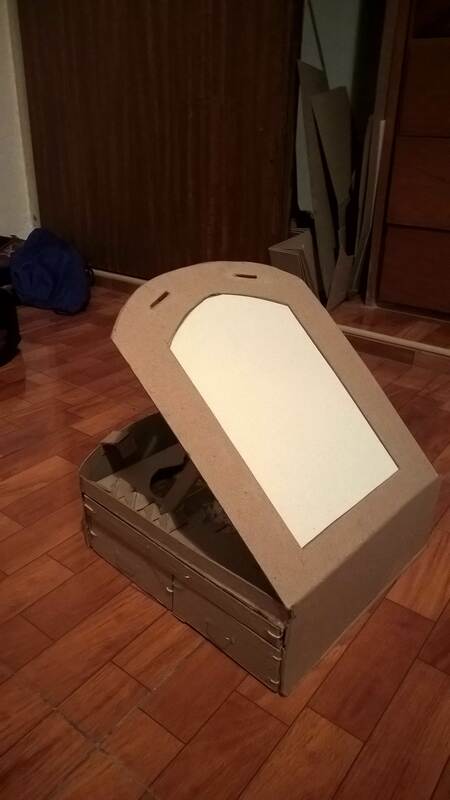 After cutting, gluing, sanding, painting and decorating the package here I show you the final result.